Here, we answer your frequently asked questions about our makeup school and makeup classes. We offer makeup courses for beginners and advanced makeup artists alike. Makeup training with us, one of the top accredited makeup schools, ensures you have an advantage in the industry. Contact us about our makeup courses! 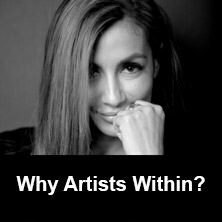 + Why should I choose Artists Within? To date Artists Within is the only accredited school in Alberta to offer Makeup Artistry, Session Hair Styling, Fashion Styling, Advanced Makeup and Special FX diploma programs. The students are given the option to have a well-rounded base in all areas of the industry. We have had amazing success over the years with our graduates going on to start fabulous careers. The programs are designed and overseen by successful artists and stylists with vast experience, who have seen the highs and the lows first hand so are able to prepare students for those variables. The programs are not taken from a text book, they are taken from years experience around the world in every situation imaginable. We pass the drive, enthusiasm and experience behind what we do at Artists Within to you, the student. Come and visit us, hear the success stories, see the work of the students and graduates, and then feel the excitement as you turn your dreams into reality. We thrive on our students emerging with tremendous skills, energy and drive to go out there and do whatever they want in this exciting industry. The sky’s the limit! + Why should I attend an accredited school? Being an accredited school means that a board governs us, which protects the student. The most important point from the student’s point of view is that you receive a recognized diploma or certificate depending on the program chosen, not just a piece of paper that means nothing. Legally any program over 2 weeks must be accredited, if it is not, beware. We have seen all too many times students coming to us after being fooled into beliving schools are legitimate when they are not and then being disappointed by the training also. We have certain guidelines we must strictly follow in terms of making sure that the courses we teach contain the correct information to enable you to get work after school. We must submit reports every year to show our graduation rate and job placement rate. These reports are made available for each student to view and sign. You as the student are protected financially should anything happen. + What is the difference between a diploma and a certificate? A diploma is a higher rank so to speak than a certificate. It means that you have received more in depth training than a certificate can offer. Any program over 2 weeks should be accredited and therefore will offer a diploma. A diploma is your guarantee that the school or institution is official when taking such a program, is following regulations, and that you are getting genuine training. Any course under two weeks will not need to follow these regulations so a certificate will be issued. If you are wanting to become a professional makeup artist be aware that there are many artists with diplomas who you are competing with so choose your school wisely so you can be on par experience and training wise. + What is ITEC Certification? ITEC stands for International Therapy Examination Council. 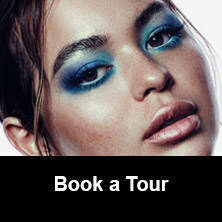 ITEC qualified makeup artists are certified in 33 countries around the world. Artists Within Makeup Academy is the only school in Canada to offer this qualification in Makeup Artistry. For ITEC certification, an ITEC approved examiner con-ducts the ITEC examinations in Calgary, which is available at a fee of $295. This fee in non-refundable should the student not sit the exam. To date our students have achieved 100% success – again, something we are very proud of. + Do I need any previous experience to start with Artists Within? No experience is necessary. Our courses start with the basics. We do require eagerness and ambition! + What are the prerequisites to attend Artists Wihtin? In order to attend Artists Within you must be 18 years+ or have graduated high school. + What kind of work will I get after completing my course? There are so many options and directions to go once you have completed any of our courses. The great thing is, you can try different things until you find your niche. Each course covers a wide variety of material which provides many opportunities. Runway shows in New York, Milan, L.A., and London Working with various agencies around the world doing photo shoots Working for salons on cruise ships Working for stores such as Holt Renfrew, Sephora and MAC cosmetics Students go on to work for television productions and commercials Many start their own makeup companies. + What experience do your Trainers have? Each of our trainers has had years of hands on experience. None of them work full time with us; they spend a portion of their time teaching and the rest out in the industry working in their field. Each trainer has hands on experience so is able to do more than read a textbook and demo. They help put you in the moment, challenge you and prepare you for the reality of the industry. + Do you help me look for work after completing the course? We get many calls for jobs and positions, and always pass them on to our graduates via our alumni facebook page. We don’t guarantee work but we do all we can to assist you. Our job placement rate since opening the doors 14 years ago has always remained in the 90th percentile, which we are very proud of. + Do I need to purchase the kit? Yes, the kit is mandatory. It is important while learning to have the appropriate products and tools necessary to achieve the desired results. Each kit has all you need to get started, to learn and to expand with. The kits are fantastic basics from our own line 'AW03 Maquillage' that you can add to slowly as you grow and move forward. They contain all you need for your course, you are not expected to purchase additional items while attending Artists Within. + Does Artists Within test on animals? None of Artists Within products are tested on animals. We also do not test our finished products on animals. This is in regulation with E.U. cosmetic standards. + What is the registration cut-off? You can register till the week prior if there is room. Certain times of the year fill up very quickly so we would suggest you sign up as soon as you have made the decision to attend to avoid disappointment. The front end team can advise you on this further when enquiring about certain dates. + Is my deposit refundable should I change my mind? Your deposit is not refundable, however you may transfer into another course if necessary and there is valid reason for doing so. There is a $50 processing fee for any changes. + I lost my Diploma, what do I do? If you are in need of a Diploma or Certificate replacment, email info@artistswithin.com with your full name, class and when you graduated. There is a reprint fee of $50.00 for replacment Diplomas and Certificates. + What is a T2202A form? T2202A (Tuition and Enrolment Certificate) is an official statement for income tax purposes. It is issued to all students who paid tuition for qualifying courses that are eligible for claim on the income tax return. + How do I get a T2202A Form? Artists Within now offers online registration for both our In-person Academy and Online Academy. For our In-Person Academy, simply visit our In-Person Academy Registration and fill out the form. 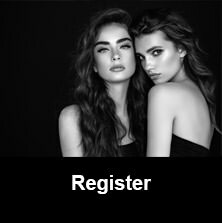 For our Online Academy Registration we offer two programs, you can register for the Master Makeup Program or Makeup 101 Program. Registration has never been easier. Get started now! Alternatively, you can call our administration department at 403.208.0034 or email info@artistswithin.com and make an appointment to meet with our administrative team to complete the registration process. When registering, we require that you bring photo ID and the deposit for your chosen course. We are always available in business hours to answer questions or to book you in for a tour of the academy. We look forward to meeting with you!